I boarded Balmoral as a passenger and left one week later indoctrinated as a member of a close-knit family. Perhaps it was due to the happy, can-do attitude from the crew-members. Or maybe it was the infectious fun and laughter over dinner. Either way, I was captivated by the warm soul of an immaculate, small ship that barely showed her real age. Each of the passengers I met onboard had a different motivation for booking a Northern Europe week-long cruise with Fred. Olsen Cruise Lines. Some were on their first ever cruise holiday, some were on their first solo holiday following a bereavement, and several were keen to enjoy as many cruises as they could manage before their health deteriorated further. Throughout the week I listened to captivating tales of fascinating journeys to the corners of the world. Those that had been on the world voyages waxed lyrical about them, and each person I chatted with reeled off even more exotic destinations that I quickly added to my bucket list. During the week I learned an awful lot from the loyal passengers and equally loyal crew members, including five important cruise lessons. Listen to the larger cruise lines, and you might believe multi-generational cruise holidays are a new concept. Grandparents, parents and their children all converging on a shared cruise holiday is nothing new. Fred. Olsen Cruise Lines is an excellent choice if you want such a holiday on a smaller, more intimate ship. While Fred. Olsen Cruise Lines may be an attractive option for the over 50's thanks to their varied itineraries, smaller ships, and competitive pricing, the cruise line is also a good choice for younger travellers and new-to-cruise passengers. There is a mix of light instructor-led activities available, plenty of space to relax, and outdoor space to stretch your legs. Factor in the delicious meals, the live entertainment, and the various ports of call, there is enough to keep everyone in the group happy. Thinking of taking the kids? Fred. Olsen Cruise Lines freely admits its children's entertainment is limited°, but they do welcome children onboard, and staff love having them around. The cruise line puts on more family-friendly activities during key periods like the school summer holidays. Activities include arts and crafts, disco's, treasure hunts and more. Ships also organise separate family pool times so that kids can splash around in the pools without causing a nuisance to other guests. Family activities require parental supervision and are tailored for five- to 11- year olds although all family members are welcome. If you are looking for a staff-supervised children's club, then you should sail with an alternative cruise line that operates larger cruise ships instead, such as P&O Cruises or Royal Caribbean. I have travelled on my own many times for work, and it is often at mealtimes where the experience takes a nose dive. Nothing screams lonesome as much as a table set for one, or a place setting wedged in-between three couples on a busy table. Perhaps it was luck or excellent planning by the Maître D' but my allocated table in the Spey Restaurant on Balmoral comprised exclusively of solo travellers. We were all literally in the same boat. Some had been cruising solo for a while, occasionally accompanied by friends or grandchildren, but two had only just begun sailing solo having lost their partners. Both recounted deeply moving stories throughout the voyage of their cruise history sailing as a couple. They both loved cruise holidays and were apprehensive about continuing after the loss of their partners. One explained to me how she cried on the first night of the cruise, regretting the decision to sail as a solo traveller. But as a testament to how much fun she had on board she had booked her next cruise before we returned to Southampton. Travelling on your own can be daunting. But on Fred. Olsen Cruise Lines, it genuinely felt as if I were sailing with one big family. We had all arrived as strangers but left as good friends. This sensation can only truly be found on smaller, more intimate vessels. Most cruise lines price cabins based on two adults sharing. It can become particularly costly if you deviate from this, such as if you require extra berths (a family of three of four sharing for instance) or if you wish for single occupancy, in the case of solo travellers. The dreaded single supplement, a fee levied for solo cabin occupancy, can kill the idea of a dream cruise in an instant. Ships in the Fred. Olsen Cruise Lines fleet have dedicated solo cabins designed for single occupancy and priced accordingly. The cruise line also runs single traveller offers° periodically where the single supplement is removed entirely on selected cabins on selected sailings. If you are a single traveller, it pays to book at the right time. With Fred. Olsen Cruise Lines that usually means as soon as the brochure is released. Predominantly in the winter, Fred. Olsen Cruise Lines offers a variety of longer cruises, up to three months in length. Their exotic world cruises° were highly recommended to me during my week-long voyage although sadly at the moment it is not something I could contemplate booking. I think my family would miss me. If, like me, you typically book between seven- and 14-nights away then there is still plenty of interesting itineraries to consider. For nature lovers, there is a selection of exciting voyages to Greenland, Spitsbergen, and the glaciers and waterfalls of the Norwegian Fjords. Beach bums will have a tough time choosing from the picture-perfect sandy beaches of the Caribbean, the tropical scenery of Bali, or the beautiful shores of the Azores. Printed itineraries only tell half the story and a cruise holiday often presents much more than just ports of call. The Northern Europe itinerary I sailed on included calls to the ports of Antwerp, Hamburg and Amsterdam. 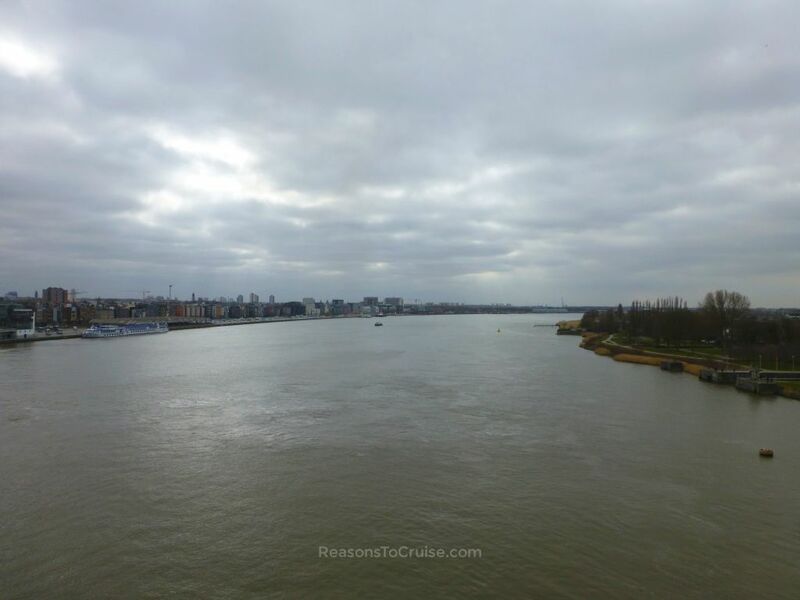 But in amongst that there was a healthy amount of scenic cruising including transits along the picturesque River Elbe and the Western Scheldt River. Over the next few years Fred. Olsen Cruise Lines will be adding more scenic cruising to its itineraries. Forthcoming scenic cruises° include remarkable sights in the Arctic, Faroe Islands, Greenland, Iceland, Ireland, Norway, Scandinavia and even around the UK. When it comes to cruise ships, I am in the camp that loves the big beasts. I am looking forward to seeing the world's largest cruise ship take to the seas. What interested me a lot during my cruise was how divisive the issue of cruise ship sizes is. Almost all the passengers I spoke to slated mid-sized and large cruise ships, calling them "floating tower blocks", "soulless vessels", and "gaudy". Small ships certainly have their place, and as the never-ending stream of larger cruise ships are launched the demand for smaller, more intimate vessels will only increase. Small cruise ships like the vessels Fred. Olsen Cruise Lines operates are the antidote to the mass-market floating holiday resorts. 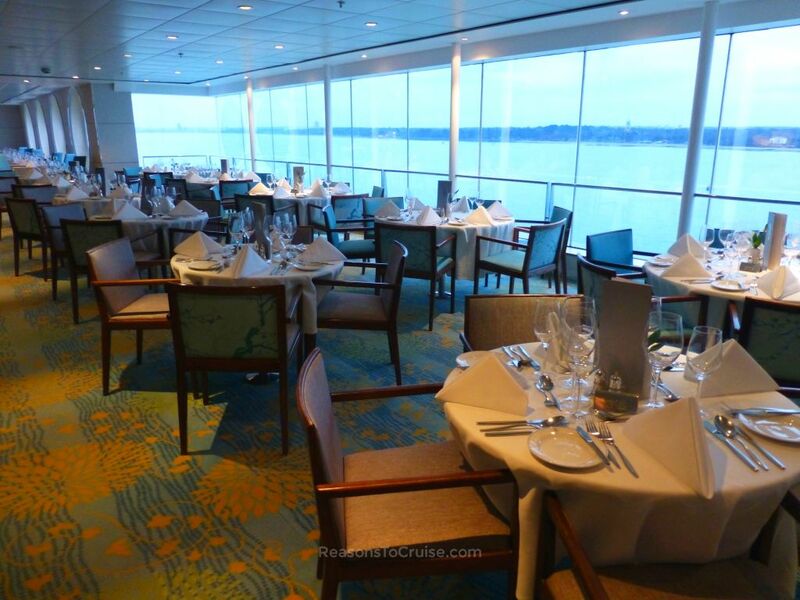 There are many benefits to sailing on smaller, older cruise ships. Small ships still feature the same sort of things you would expect to find on the larger ships, sans the headline gimmicks. They often boast a show theatre, a gym, a spa, a swimming pool or two, hot tubs, fitness classes, educational lectures, bars and lounges, and more. Theoretically, food presentation should benefit on a smaller ship, thanks to having fewer people to cater. The time pressures of serving 4,000+ passengers means that beautifully manicured dishes of food are often the reserve of the premium, additional charge venues. Cabins on older ships are very well proportioned and typically offer a generous amount of private space compared to their modern counterparts where space comes at a premium. And then there are the destinations. Small cruise ships can sail on waters and call at ports many of their larger counterparts simply cannot access. To explore certain parts of the world by cruise ship you need to look at the smaller vessels. Think 'British style cruising', and you may picture a holiday camp at sea. I know I had done before I stepped aboard. Indeed some British cruise lines may be like that, but Fred. Olsen Cruise Lines offers British-style cruising in a tasteful way. Onboard, the currency used is the Great British Pound. No United States Dollars or Euros here. When it comes to meals, the food onboard is far from bland. Classic British dishes are available throughout the cruise and sit alongside a wealth of dishes to tantalise the taste buds. The thought of the British-themed night brought me out in shivers when I packed my suitcase. I cringed seeing the Union Jack decorated bunting go up outside the entrance to the Neptune Bar, fearing a tacky event. Instead, the evening transpired to be great fun and the live show that night, entitled British Invasion, was an exuberant celebration of being a Brit. I went from sceptical to proudly patriotic in a matter of minutes. Bars and the pub onboard serve drinks from familiar brands, and the café serves coffee from Taylors of Harrogate. There is one often overlooked aspect of a British style cruise that beats all others hands down. The crew onboard Fred. Olsen Cruise Lines' ships are well versed in making a proper cup of tea. And you will find in-cabin tea and coffee making facilities too! Find out more about the facilities onboard Balmoral here° and you can find upcoming itineraries on Balmoral here°. 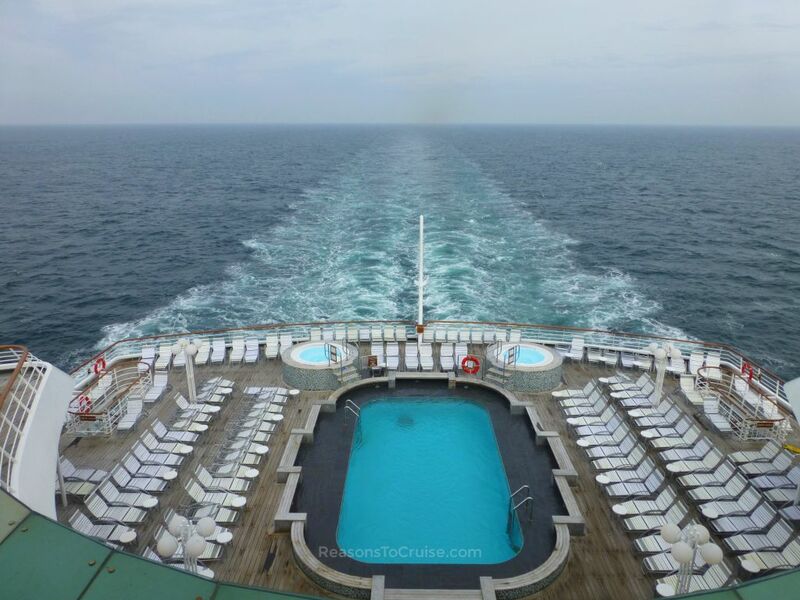 Have you sailed with Fred Olsen before? What did you like the most? Leave a comment below. Disclosure: Fred. 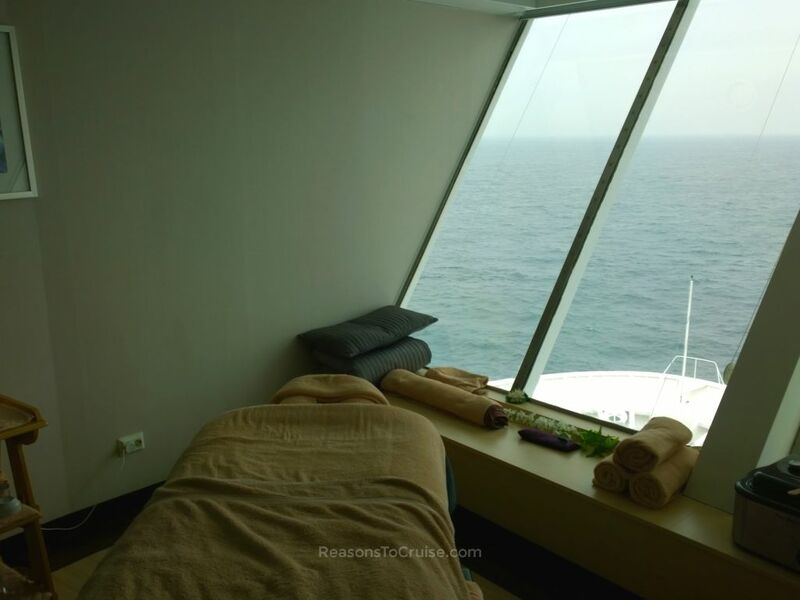 Olsen Cruise Lines supplied a complimentary full-board sailing aboard Balmoral, Internet access, all shore excursions, and a spa treatment. I paid for my transport to and from Southampton port as well as incidentals on-board, including drinks and snacks. The opinions in this article are my own. Hello, I am David, a website developer and marketer who accidentally fell into the exciting world of cruise travel writing. I strip away the marketing fluff and tell it like it really is. 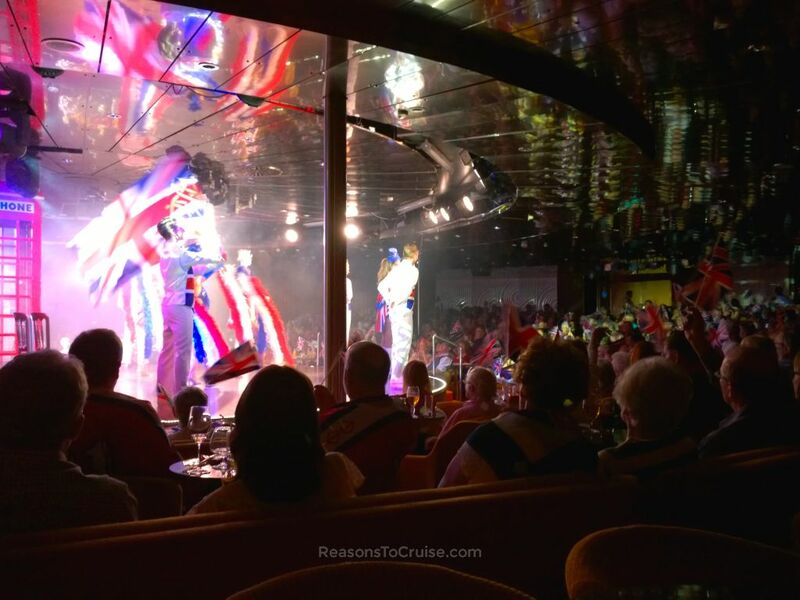 Get my occasional email updates with cruise news, tips, and any good deals worth recommending. Got a burning question? Need some pointers? Not sure what I've rambled on about? Get in touch and I'll try my best to help. © 2019 David Fiske. All rights reserved. E&OE. Reasons To Cruise is an affiliate and may receive commission on purchases made using hyperlinks marked with a °.